This is our monthly Museum LEGO Stop Motion Animation “Users Club” gathering, under the guidance of instructor Jenna Marks. Jenna Marks is an experimental and narrative filmmaker with a strong focus in animation. She graduated from NSCAD in 2013 with a BFA and a major in film. Following her graduation, Jenna was accepted into the National Film Board’s prestigious animation apprenticeship program; Hothouse, in Montreal. Jenna’s films have played internationally and have gained awards at Germany’s, International Film Festival Stuttgart and Canada’s own Atlantic Film Festival. 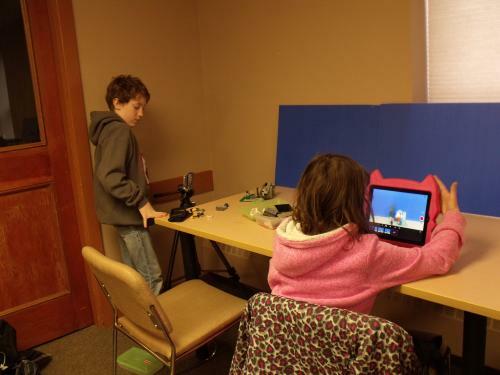 **LEGO Stop Motion Animators should bring a small bit of LEGO, as well as project ideas and storyboards that you would like to create on your Smart Phones or tablets or thumb-drives (don’t forget your chargers). The software app that can be downloaded online is: ‘Stopmotion Studio’ from the iTunes App Store. It’s Show Time – participants are invited to present their recent productions on the ‘big screen’ during the 2nd hour of the session. Parents & family are invited to attend. Accelerate Learning Using Bricks and Code with NSCC. Mike Duggan of NSCC, an enthusiastic science educator and consultant with experience working in museums, private and public schools and non- profits will be hosting walk-in sessions about LEGO Robotics during which he and other NSCC faculty members will be demonstrating how to construct and program a LEGO robot using a PC. 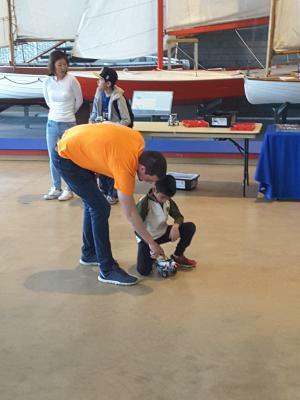 Visitors will then have an opportunity to assemble, program and test the active movement of their small LEGO robot. All materials will be provided by the Museum and NSCC. So, come explore, build and experiment. Parent accompaniment recommended. Great for ages 9 and up. Pre-registration is not required for this program.